7 simple Homemade Salad Dressing ideas to shake up your salad! Most are ready in minutes and use pantry ingredients. All are easy, fresh, and flavorful! 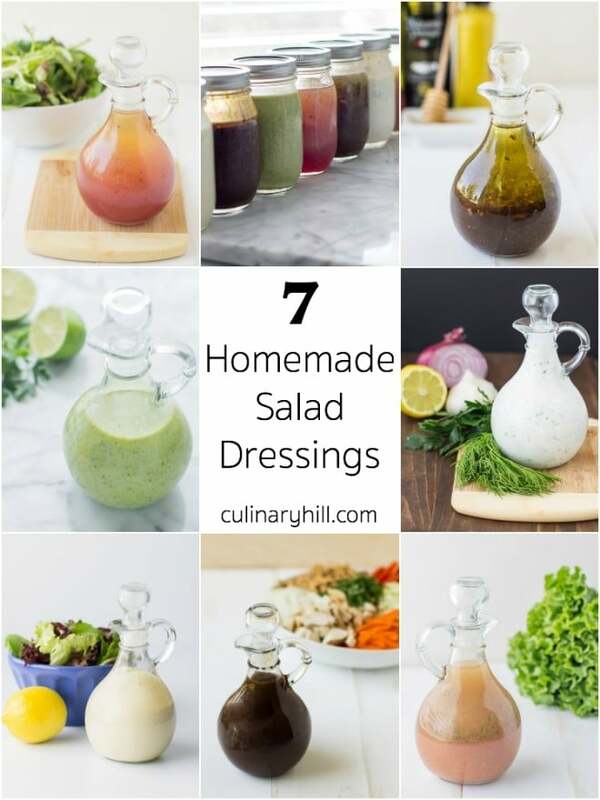 Today I’ve put together a collection of some of my favorite salad dressings from around Culinary Hill. 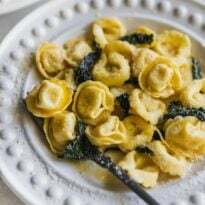 For the most part, they feature made-from-scratch ingredients including fresh herbs, tangy vinegars, and lots of olive oil. It’s so much cheaper to make your own salad dressing and they always taste better than what you can buy in a store! My homemade Caesar Salad Dressing is fool-proof! There is NO raw egg and NO anchovies here, just a few pantry staples that you probably already have on hand. So great on my Caesar Pasta Salad. My Asian Salad Dressing is perfect on Chinese Chicken Salad or anywhere else you are craving an Eastern influence. It’s only 5 ingredients, too. 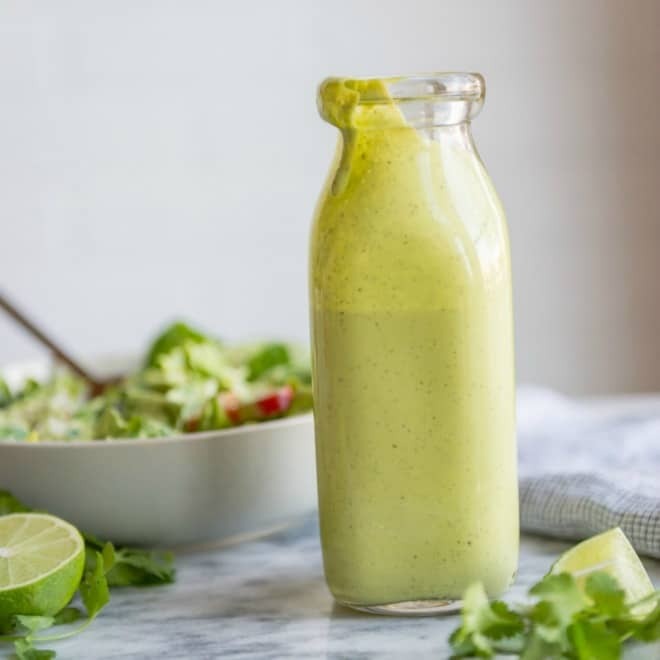 I love this Cilantro-Lime Dressing. 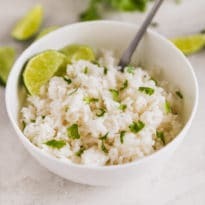 It’s smooth and creamy with the bright flavors of fresh cilantro leaves and sour lime juice. Get an extra boost of protein too: it’s made with Greek yogurt! My homemade Poppy Seed Dressing is sweet and tangy, ideal for salads featuring both fruits and vegetables. I can’t call this dressing healthy, but it certainly turns a salad into a dessert. 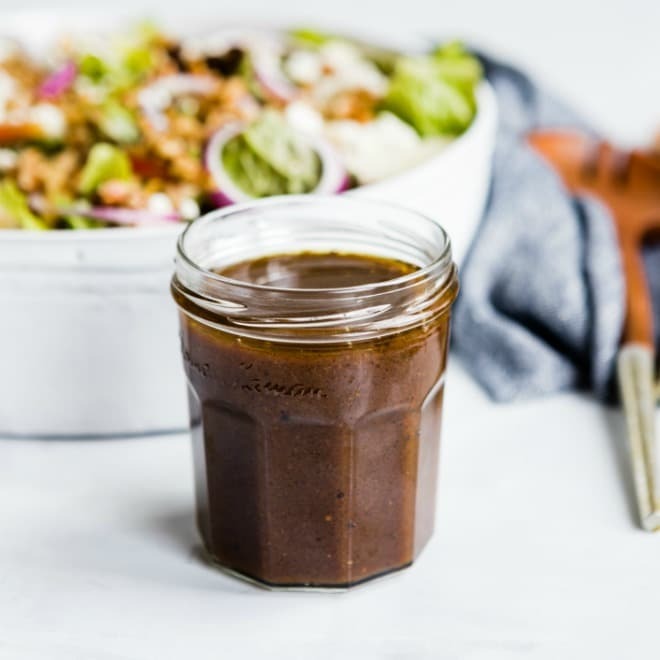 My Balsamic Vinaigrette is the best way to boost a healthy salad. It’s lightened up with water but full of flavor of fresh herbs, garlic, and honey. You’ll want to keep this one on hand all the time! 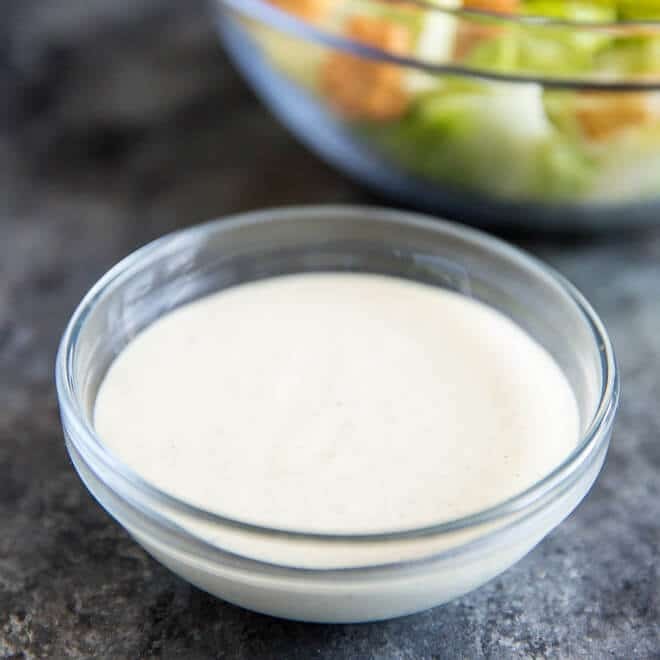 My all-time favorite salad dressing is Buttermilk Ranch, and this homemade version is the best there is. 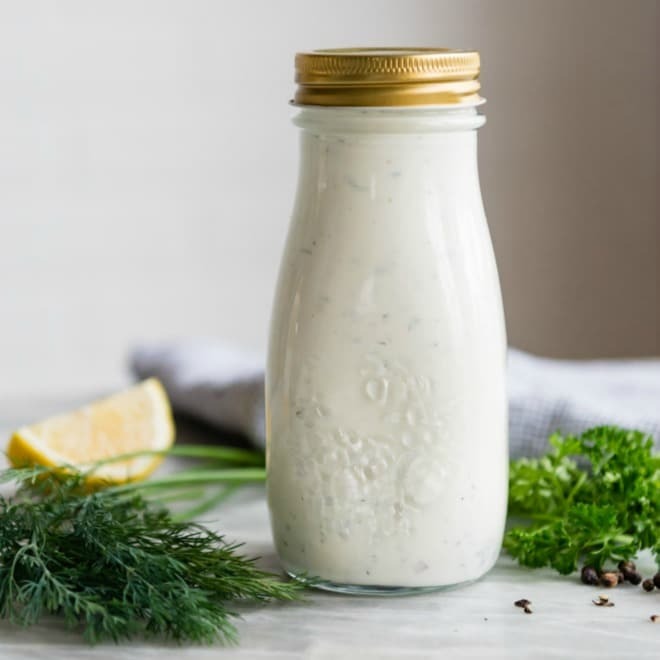 Featuring lots of fresh dill and parsley in creamy buttermilk, you’ll never be able to go back to the bottled stuff! 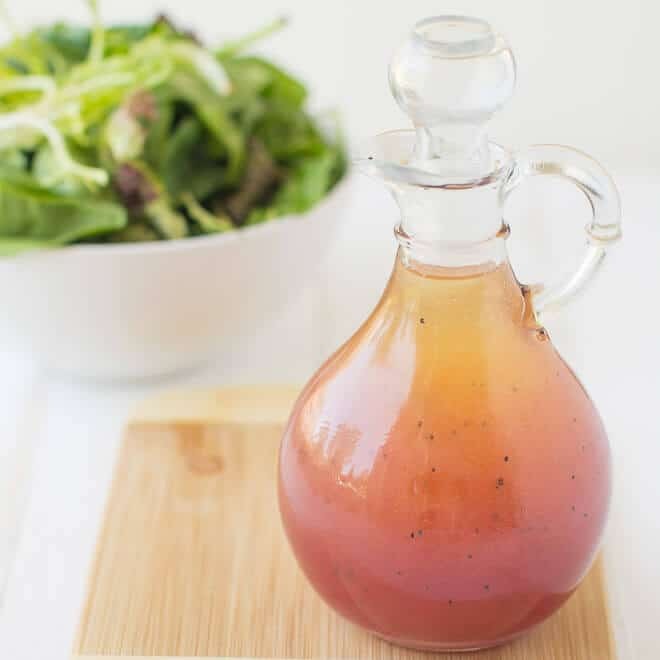 My Red Wine Vinaigrette is perfect for Italian salads and sandwiches. It’s also the easiest dressing around, just 5 ingredients including salt and almost no prep. I hope you enjoyed this collection! May your days be filled with salads. 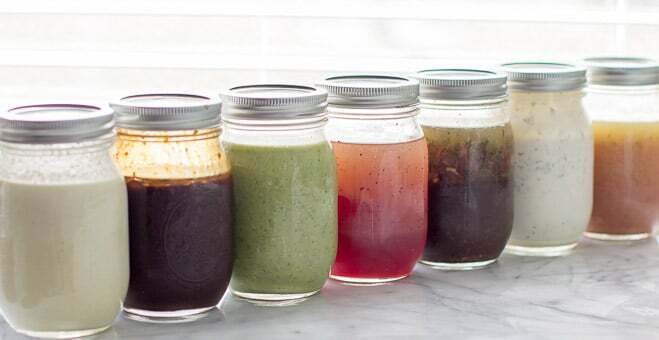 Save this 7 Homemade Salad Dressing Ideas to your “Salads” Pinterest board! I love them all, but yeah that is such a good one! Mmmmm. I vote for cilantro-lime, but of course all these dressings look perfect! I’ve been admiring this post on social media over the last couple of days, Meggan. Love it! You are the sweetest, Helen. :) Thank you for your support as always! Great post Meggan! So helpful, I make salads every day and am very excited to try your dressing recipes! Thank you so much, Mira! They are all so good, I hope you find one you love! 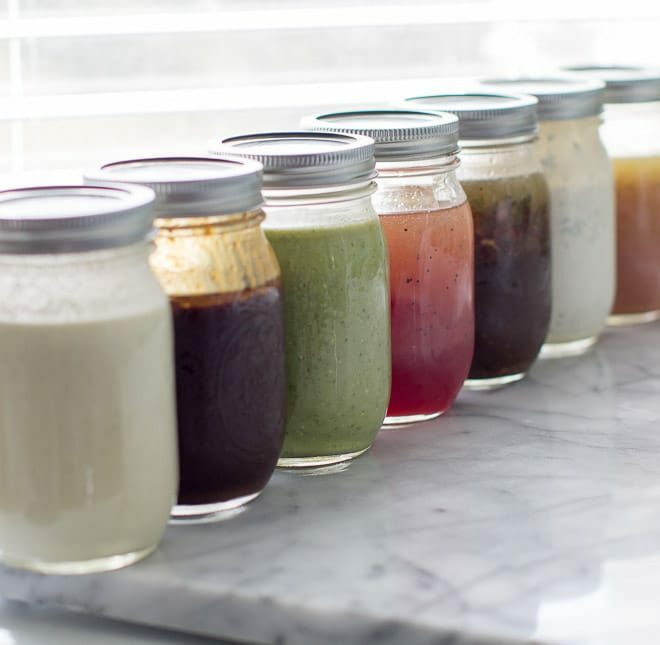 Great post and love these colorful salad dressings! It has been so hot lately and we’ve almost been cooking salad everyday. This is gonna become our great reference for dressing! Sharing and pinning! Thank you so much, Maggie! I love making homemade dressings, they are just so easy and tasty! I love making my own dressing, these sound fab! Wondering how long the salad dressings usually last in the fridge? Hi Sydnye, the rule on these salad dressings (and leftovers in general) is up to 4 days. I really need to include this information in the post! Thank you. Hi Meggan! I just discovered your site and can’t wait to try so many of your recipes! I was wondering if you’ve ever tried to freeze salad dressings. I work from home and love to make salads for lunch but I can’t finish the dressing in a few days by myself, esp. if I make more than one. Thanks for all the amazing recipes!